A quick day trip through Hot Springs National Park in Arkansas – touring bath houses and local sites. The loop that I chose started at a covered bridge near the mill, followed Slippery Rock Creek to the next bidge, and then returned to the mill. The whole while, I was surrounded by rushing water, towering rock walls, fly-fishermen, and tons of boulders. The Blessing of the Fleet in conjunction with the 100th anniversary of the Golden Meadow, LA Catholic Church – Our Lady of Prompt Succor. The Blessing of the Fleet is not a new tradition: it’s been present in some form or another among the French-Catholic fishing communities of South Louisiana for nearly 300 years. Clare Nolan vacations on the Hawaiian island of Oahu with a couple of friends from Melbourne. This is a collection of 10 slices of New York City, as seen through the lens of Parker Lasseigne. Parker Writes, “New York City trip with myself and Richard Martinez from the 24th through the 30th of August in 2015. The last collection of images from Parker’s NYC tour is a catch-all of whatever didn’t fit neatly into the previous categories: Chinatown, the subway, the Museum of Natural History, Wall Street, and Radio City Music Hall. I will go right ahead and say it; this is one of the most impressive places I have ever visited. We explored the museum for about 5 hours… 4 hours roaming around at our leisure, and then 1 hour running around like maniacs trying to catch a glimpse of as much of the rest of the place as possible. Parker’s seventh part in the NYC series surveys New York City’s pizzerias, other eateries, and a few nerd outings to boot. Part six of Parker’s New York City series highlights the green spaces: Central Park, the Cloisters, Bryant Park, the High Line, and Brooklyn Bridge Park. NYC trip 4 of 10: Times Square Insanity. Parker visits Times Square three times in part four of his slice of New York City. NYC trip 3 of 10: Architecture. In part three of Parker’s slice of New York City, he focuses on the memorable structures that define the landscape. NYC trip 2 of 10: Lady Liberty. We arrived at Battery Park at 8:00 AM to take off by way of the Statue Cruises ferry line towards the Statue of Liberty. New York City, as I’m sure many will agree, is a place that needs many weeks, months, if not years to see. We just had a week, so we made sure to make the best of it. Out-and-back scramble and hike along Panther Creek to the Panther Creek Falls near Cornelia, GA.
A quick hiking trip to Cheaha State Park in Alabama’s Talladega National Forest – bagging another state high point! On the north side of the Golden Gate Bridge lies the other half of Golden Gate National Recreational Area and the Marin Headlands – a lush rolling land that dips down to the water for some fantastic views of the bay area. If you’re visiting the San Francisco Bay Area for any amount of days, I would say that Muir Woods National Monument belongs on your list of must-see locations. We rented a car to get there, but the park is just a hop and a skip over the Golden Gate Bridge – 16 miles from downtown San Francisco. When the 1967 flower-power anthem San Francisco said, “If you’re going to San Francisco, be sure to wear some flowers in your hair”, it was talking about the Haight-Ashbury District. A stroll through Japantown in San Francisco, CA. See brilliant foods, toys, paper foldings, grocery signs, a wooden Vader helmet, and much more. On our 10 year anniversary trip to San Francisco, there was one area that had us coming back again and again. The Mission District, also known as “The Mission”, is chock full of delicious cheap eats, truly quirky shops, and historical sites. The Presidio of San Francisco was first established as a Spanish garrison in 1776. Now the 1,500 acre park is a National Historic Landmark, famous for its hikes, views, and history. The Sutro Baths were developed by self-made millionaire Adolph Sutro in 1894. He made his fortune in Nevada’s Comstock silver mine, and applied those riches to his dreams of a better San Francisco. Three friends adventure into Texas’ Big Bend National Park. 7 minute Video plus Photos! We made several stops in near Johnson City and Fredericksburg, looking for last minute gear. We passed through a storm front that was pretty strong and had dropped the temperature from the 80’s down to what felt like the mid 50’s. A 106 mile kayak/camping trip down Bayou Lafourche, including Donaldsonville, Napoleonville, Thibodeaux, Raceland, Lockport, Cut Off, Leeville and Fourchon. Hiking the West Rim in Georgia’s Cloudland Canyon State Park. For ten years, I have biked or driven into the Wissahickon, usually with a camera. In this slice, I attempt to exhibit the important landmarks of the park along with my favorite nooks and crannies. Just an hour south of Hilo (east side of the big island) was the Kaimu black sand beach, one of the more volcanic looking of the black sand beaches. On Monday morning I speed-hiked down the West Rim Trail. On the canyon floor, I shuttled to Watchman campground, set up camp, and filled my belly with a delicious Beef Ravioli MRE – one of the best yet! I crammed all electronics and paper documents into waterproof bags and stuffed those bags into my backpack. Today I would hike The Narrows. Hiking up the east rim from the canyon floor was strenuous – switchback after switchback with short spurts of level terrain interspersed. Toward the end of the climb, thighs and calves on fire, I took solace in the fact that the return trip downhill would be a cakewalk. A self-guided, three raft, seventeen day trip rafting trip down the Colorado river. There were eight of us, and it was a mixed group of awesome people. Three members had rafted the canyon previously and were oaring the rafts, Four of us were adventure-seekers who knew someone else on the trip but little else, and one poor soul who had never even camped in a tent before. Designed to defend New Orleans from the Union Army, Fort Proctor was constructed under the supervision of General P. G. T. Beauregard in 1856. Also known as Fort Beauregard and Beauregard’s Castle, the fort was originally located about 150 feet inland with a rail yard on its northern end. Today it is approximately 230 feet from the shore, surrounded by Lake Borgne. Street performer on Bourbon Street that calls himself “Funny Tumbow One Man Band”. The guy ROCKS by employing all appendages. A trip down to Grand Isle, Louisiana, to see how things are developing, contribute a bit to the local economy, talk to locals, show some support, and try and make a surreal catastrophe happening a few hours away more tangible. Another New Year presents itself, and she’s escorted by the same old companions: hissing fireworks, the unfathomable lyrics of Auld Lang Syne, gaudy street parades, steaming cabbage with black-eyed peas, and of course those delicate pledges-to-oneself that we call New Year’s resolutions. All of these timeless traditions constitute the norm on New Year’s Day. The question is, does January 1st still have room for new traditions? June 20-21 were spent in the grandeur of Grand Teton National Park. In short, the attraction to this park lies in the contrast between abrupt rising granite and broad glacier-carved lakes. Even after four days of Yellowstone, the landscape of Teton still caught me off guard. Our first stop in the park was at the Colter Bay Visitor Center for a proper lay of the land. Our third day in Yellowstone was a day of short trails but breathtaking vistas. We started with a steep descent down a series of switchbacks to what was quite possibly the most jaw-dropping panorama in the entirety of Yellowstone, the Grand Canyon of the Yellowstone. This is a continuation of our Summer ’08 Road Trip. Just a hop, skip, and a jump from Idaho Falls, and we were entering West Yellowstone. Immediately upon entering the park we spotted a fox, an eagle, a raven, and lots of bison. Finishing up early at Buckskin Gulch allowed us just enough daylight to skim the surface of Zion National Park. Zion, Utah’s oldest and most visited national park, is located in the southwestern corner of the state. The park is amazing, but don’t think that you’re going to see much of it in one afternoon. The website Adventuresports.com defines a slot canyon as “a narrow canyon carved into sandstone or slick rock by centuries of rain and flash flooding… often filled or partially filled with water and can be extremely dangerous to navigate through.” Buckskin Gulch, the longest and deepest slot canyon in the southwest, is located in southern Utah and superintended by the Bureau of Land Management. Mesa Verde is very similar to Chaco Culture in that visitors walk through and observe Ancestral Puebloan ruins. The main difference is that Mesa Verde is much more accessible, therefore the crowds are much larger. Still, the park offered an amazing display of ancient ruins presented by outstanding park rangers. Chaco Culture National Historic Park is a series of architectural ruins built between the years 850 and 1150 by Ancestral Puebloans. This history-heavy slice begins with a fully transcribed, hour-long ranger led tour of the Pueblo Bonito ruins. This is followed by a walk through the Chetro Ketl ruins, and a hike to some stunning petroglyphs. The fourth stop on our 2008 summer road trip was Roswell, NM, the All American City. Now, without giving away too much of my own personal life history and to avoid total embarrassment, let’s just say that over the years I’ve developed a bit of a fascination with the idea of extraterrestrials, martians, aliens, or little green men. One of the first large rooms in the cave is the Bat Cave, named for the thousands of Mexican freetail bats that roost here from March to October. The bats hang upside down all day and hunt insects by night, consuming up to one half its weight in insects in one feeding. If the average man ate on the same scale, he would have to consume 95 pounds of food for dinner! I started before dawn at my home in the Marigny (a neighborhood just east of the French Quarter). First things first, I had to cross the Mississippi River to get over to the West Bank. The only safe option for river crossing via bicycle is the ferry, and the closest ferry to my home is the Canal St. Ferry. On my way back from a friend’s wedding in Charlotte, I stopped by the Great Smoky Mountain National Park for a “quick” day-hike up the 6,593 ft Mount LeConte. The 10 mile round trip hike starts at Hwy. 71 on the Alum Cave Trail. This is a story about a cycling trip that follows every curve of the Mississippi River’s east bank, from New Orleans to Baton Rouge, LA. On this self propelled two wheel adventure, the clock started at 5:40 AM when my feet left the ground and found the pedals of my Trek bicycle. The idea for the trip however, was realized much earlier. Who boasts the largest cast iron statue in the world? Birmingham, AL of course. Slices of America visits the Birmingham Vulcan. This is a series of photos taken in and around Cloudland, GA in November of 2006. We got there just in time to catch the vibrant yellow and red leaves. Calico Ghost Town was the last stop on our 2006 California Expedition. Calico was first established in 1881 when it came to prominence with the mining boom. After three days climbing Mount Whitney, the group hobbles through Sequoia National Park on part three of our 2006 California trip. Part two of our 2006 California trip takes us from the bowels of Death Valley to the top of the country – 14,505 foot Mount Whitney. Join Bryce, Dane, Jason, Taylor, and Trey on our 2006 California Expedition / Part I: Wastelands of California’s Death Valley National Park. Join guest contributor Justin Wetz on his tour of Seattle, Washington. Highlights include the Space Needle, Sci-Fi Museum, Pike’s Place Market, and Bainbridge Island. At 7:00 AM on Monday, August 29, 2005, hurricane Katrina made landfall as a category 4 storm… This project was shot over a period of two months. The photos, taken by both my wife (Angela Driscoll) and I, depict a desperate attempt at communication. Las Vegas, NV through the lens and FILTERS of Parker Lasseigne. Vegas like you’ve never seen it before! Somewhere during the summer of 2005, I took a trip to Galveston Beach (that’s pre-Hurricane Rita Galveston) with my friend Jeremy Gooch. It was my first time there, and I enjoyed it quite a bit, except for our total lack of sunblock. Hello folks! Parker Lasseigne here, and with me is the long delayed Houston Slices of America. I have been living in Houston now for five years, and I have never taken a single picture of the city for the site, until now. Frank Livers transports us to Mason City in north central Iowa, where in January the conditions are sometimes too cold for snow! Highlights include farmlands, a town square dedicated to the musical Music Man, and the last venue to showcase Buddy Holly, Ritchie Valens and the Big Bopper. Photos taken by Sam Litman in snowy Spring Creek, NV – December of ’03 through February of ’04. July 29th 2003 marked the third anniversary of Slices of America. In celebration, I decided to head out to Lancaster County Pennsylvania to see what Amish life was all about. Angela and I packed sandwiches, drinks, and snacks and headed west out of Philadelphia. A short pilgrimage to the shrine of entombed St. John Neumann, with a pit stop at the Mario Lanza museum, all within the Philadelphia city limits. Great Falls, MT as captured by the lens of Parker Lasseigne. With commentary by Parker Lasseigne. It wasn’t a pro-war rally. It wasn’t an anti-war rally. This gathering in Valley Forge, PA on March 16, 2003 was a rally for our troops. In the Fall of 2000, Ted Falgout allowed Angela and I to visit and photograph his alligator farm in Larose, LA. I grew up less than half a mile from the farm, went to school with and was very good friends with Mr. Ted’s twin sons, yet I had never been inside those gator houses. What started out as a routine mechanic visit, ended up a Tour of New Orleans on bike. The tour’s only racers were the sun and myself. It wasn’t even close. This is the Slice that started it all! 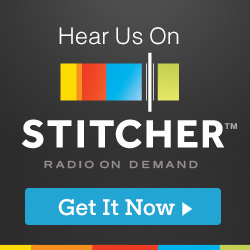 Slices of America on Stitcher!